If you would like to hear about my experience at Jimmy Fallon the day prior please click here. 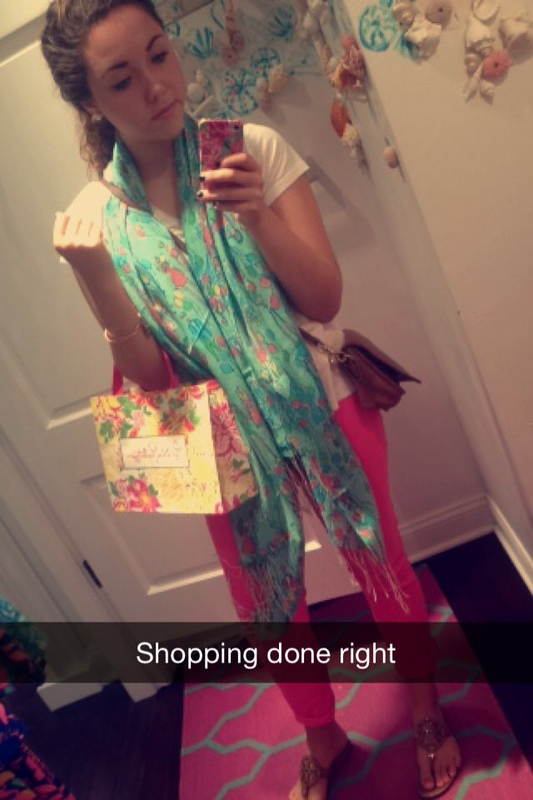 On August 8th we woke up and decided that today was shopping day! We just had to hit up Madison Ave. We took a taxi (eeeppp! My first taxi ride) and passed Central Park. I think it goes without saying but out first stop was Lilly Pulitzer. Sweet baby Jesus this is my homeland. I personally love Lilly not only for the apparel but of the interior of their stores. I tons of inspiration for my future home whenever I stroll through a Lilly store. I picked up Jellies Be Jammin’ top and got some free blotting sheets. Lindsey picked up some stuff from their new Fall collection. She purchased the Callahan Shorts in the print Electric Feel and a cute top. The next stop was Kate Spade. I have been eyeing the small square stud earrings for awhile and figured now would be a great time to purchase them; in honor of my first trip to New York. We then headed to have brunch at Sarahbeth’s. PEOPLE– if you are in proximity of this place you absolutely need to go. It was superb!